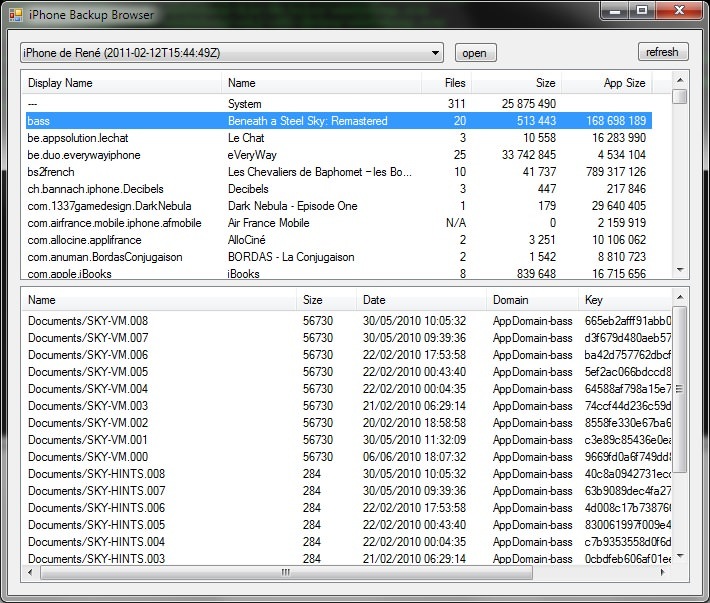 iPhone Backup Browser is able to view the content of your iPhone backups. This program shows the content of your iDevice backup. No special access to the device is required, just non-encrypted backups made by iTunes 9.1.1 or 9.2 - 10.1.2. If you need more information please contact the developers of iPhone Backup Browser (Rene Devichi), or check out their product website.